15 Feb Loveys, Blankies, Burpies, Teddies…. What’s your child’s favourite comfort item? Linus from the “Peanuts” comic strip is infamous for carrying around his security blanket while sucking his thumb. An attachment object or “lovey” as it is better known, is very helpful when you are trying to help your child have restful deep sleep. It becomes something of comfort when one of the parents is not around. A comfort object, transitional object, or security blanket is an item used to provide psychological comfort, especially in unusual or unique situations, or at bedtime for small children. Among toddlers, comfort objects may take the form of a blanket, a stuffed animal, or a favourite toy, and may be referred to by English-speaking toddlers as their blankies and loveys. Here are the most frequently asked questions concerning comfort items. Because these objects help a child make the transition from complete dependence to independence, experts sometimes refer to security objects as transitional objects. It takes the place of the mother-child bond. A security object can give a child both emotional and tangible comfort, especially during times of stress. In addition to providing security, the transitional object allows the child to show his autonomy. The young child enjoys having authority over something. It also becomes an association with certain scenarios. When used for sleep, the child may associate the particular item with sleep. 2. What is a good choice for an attachment object? It is vital to make safety your first priority. Make sure the object doesn’t have any hard parts/edges, sounds or lights that could eventually disrupt your baby or toddler in the night. You’ll also need to think about choking hazards – no loveys that have small, detachable pieces, or even pieces that are sewn on but could potentially detach (think of stuffed animals with small, plastic eyes sewn on). It could be a taglet, a soft toy, a blanket or even a “spoegdoek”/burp cloth. Whatever lovey you choose, buy at least two or three and secretly rotate them so that they each become equally loved and used. If the main lovey goes missing, you could easily replace it without your baby being any the wiser. Also note that although you may be intentionally introducing a lovey, your baby may make an association with something completely different. It’s important to be flexible. 3. How do I introduce an attachment object? In the first stages of baby’s life, you do not necessarily put baby down with his lovey, but having it around or even between you at all times will help your baby associate it with comfort. You really can start using it from Day 01, although your baby won’t make an association while he/she is that young. Long before you start to put baby down to sleep on his own with the lovey, make sure the lovey is present at nursing, soothing, reading and relaxing times. Have the lovey be a part of your day. Use it to play peek-a-boo, or have the lovey snuggle with you and your baby during feedings. Give the item some personality! And (most importantly), incorporate the lovey into the bedtime and naptime routines. Maybe you kiss the lovey then baby, or just simply snuggle them together. Try to ensure that the lovey’s always present. You can also wear the item so that it smells like you. 4. What if my child does not become attached? Previous studies have shown that up to 70% of young children develop strong attachments to objects such as toys or blankets. The phenomenon tends to be confined to the western world, where children usually sleep apart from their parents at an early age (http://www.theguardian.com/science/2007/mar/09/psychology.uknews). Children’s needs differ when it comes to transitional objects. Some children never even have a security object, some jump from one object to another in short periods of time, and others cling onto one object for years. Take your child’s lead but don’t give up too soon. (See next point). 5. At what age should it be implemented? Attachment to a transitional object tends to develop at around six months of age. The attachment peaks at about eighteen to thirty months of age. The security objects are generally most important when the child is about two-and-a half years old. This may be because between the ages of two and three children develop the necessary skills that allow them to emotionally relate to people other than the people most important to them. Thus you can start introducing the lovey from as early as your child’s entry into the world, but continue your attempts to introduce it for up to about a year. 6. When should a transitional object be taken away? I personally believe that the child should give it up when it is ready, especially when the child is not walking around with it but actually only using it for sleep. 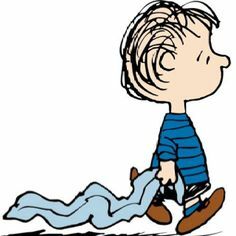 Sometime between the ages two and five, most kids are ready to bid farewell to their blankies (though they may occasionally cling to these during times of stress). The attachment is rarely abnormal, but do keep an eye out if your tot is always snuggling his lovey instead of playing with toys, running around outside, or socialising with peers. If so, consider whether there’s an underlying cause, such as a stressful situation at home or a problem with a child-care provider. Weaning an older child away from a cherished blanket or doll requires that parents acknowledge the symbolic importance of the transitional object. If the object is simply taken away, that will rarely work. An alternative is to offer the child new and more satisfying things and it may take a while until the right combination is discovered. A child may need a transitional object at night for a few years after giving it up. “It’s easier for children to cope with stress during the day when other people are around than at bedtime when they are by themselves” Here is some more tips on letting it go. Preferably you want the lovey in most cases, to stay in the crib, and be the sleep association. On occasion, beyond sleepy time, you can enlist the help of baby’s lovey during times where he may feel anxiety or fear. If he finds car rides troubling, perhaps his lovey can help soothe him. If he gets upset when you leave for work, make sure lovey is present and accounted for! If you are sleep training, or working on helping your baby or toddler learn to self-soothe independently, without you in the room, a lovey can be a lifesaver. A lovey becomes a comfortable, familiar object that can serve to instantly soothe your baby or toddler. This is especially great when you’re out and about, or when you’re traveling – just bring the lovey along, and it’ll go a long way towards helping your baby sleep! Dr. George Askew of Zero to Three points out that a transitional object is often an indicator of a strong parent-child bond. Essentially, the object is meeting baby’s need for love and attention even when moms or dads are not actually there. Now that’s pretty cool. Viva the Lovey!